Warmer waters in the region lead to an increased threat of cold-stunning because turtles stick around longer before heading south. David Anderson, a marine turtle specialist, prepares to release a Loggerhead turtle as it joins more than 570 baby sea turtles, including the Loggerhead and Green turtles, being released back into the Atlantic Ocean. If we ignore the dangerously shifting global climate system, there will be consequences: more extreme rainfall, more intense hurricanes, drier and longer wildfire seasons, and continued sea level rise all loom on the horizon. In fact, extreme weather changes are already being seen around the globe. 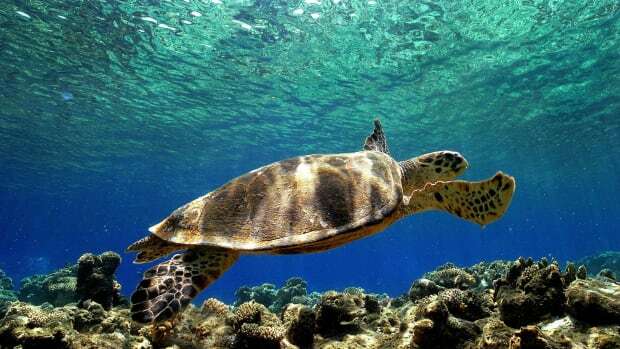 But one of the lesser known, already visible impacts of climate change is on sea turtles. 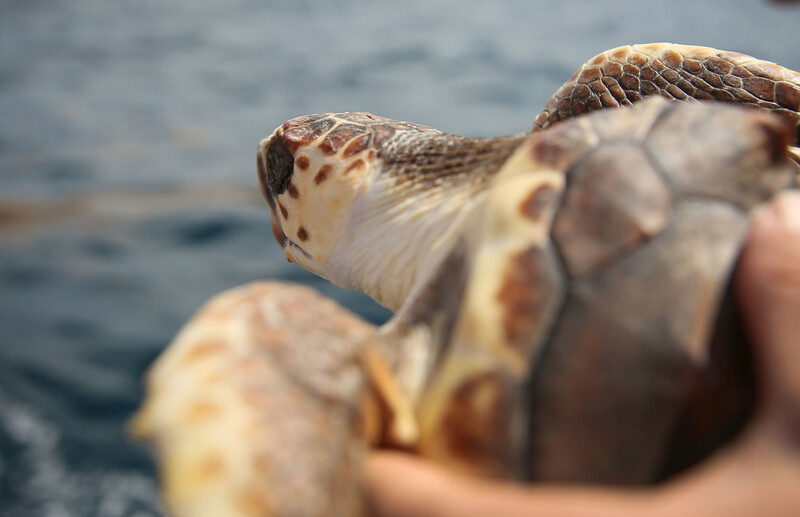 A recent paper, led by University of Massachusetts–Amherst doctoral candidate Lucas Griffin, links a rapidly warming Gulf of Maine to increased sea turtle strandings on Cape Cod. 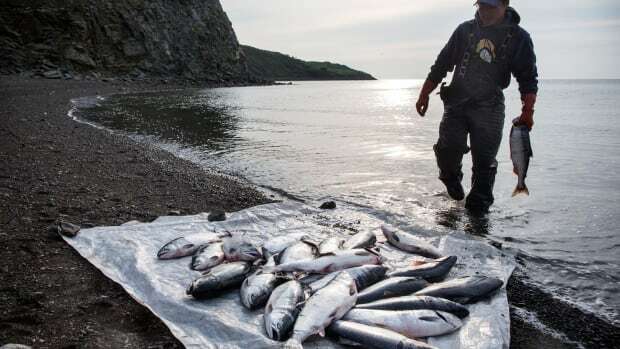 "We were surprised the results suggested this increase was linked with warmer sea surface temperatures," Griffin says. The scientists originally thought the strandings might be associated with how many young sea turtles hatched. But turtles, it turns out, are just one of many Gulf of Maine species "exhibiting a similar shift in both habitat distribution and in phenology patterns." While it sounds counter-intuitive, warmer water in October and November encourages the turtles to stick around longer before heading south. Turtles can then become trapped in the arm of Cape Cod as they start their migration, where they face an increased threat of cold-stunning if colder weather sets in. Sea turtles are reptiles and poikilotherms, meaning they can&apos;t regulate their internal body temperatures the way warm-blooded mammals can. In a cold snap, as soon as waters drop below around 50 degrees Fahrenheit, their body temperatures plummet and they sink into a sluggish torpor. It&apos;s a terrible spiral: their circulations slow down, their heart rates decrease, and they often float limply at the surface, making them more prone to predation or boat strikes. This listlessness prevents turtles trapped by the landmass of Cape Cod from finding a way around the arm of the Cape, making them increasingly vulnerable as the continued chill of December and January move in. 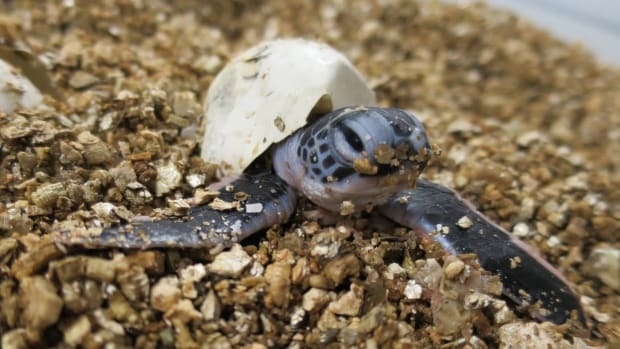 Griffin suggests that warmer Gulf of Maine water may also be allowing juvenile turtles to shift further north in their range, putting turtles in thermal habitats they are not entirely prepared for. 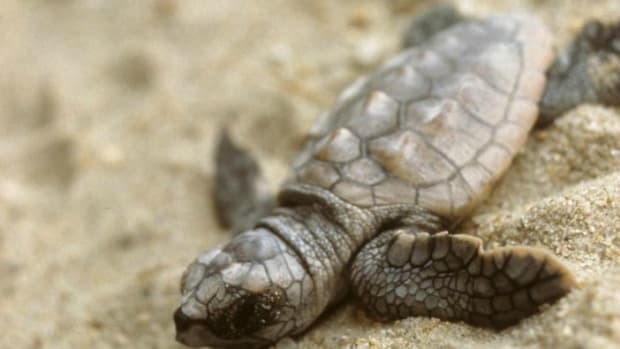 Cold-stunned turtles often wash up on regional beaches, dead or very sick—Kemp&apos;s Ridley turtles are most prone to this misfortune. Regional wildlife centers and aquariums like the New England Aquarium shoulder the lengthy rehabilitation process for those turtles still alive, gradually warming them to allow their immune system to keep pace. If cared for, many do survive and can be released in southern waters, with rehabilitated individuals later showing up on nesting beaches in following years. Those that don&apos;t make it head for the necropsy table, providing scientists like Griffin key insights about the species. His results suggest these strandings will get worse. By 2031, as many as 2,300 Kemp&apos;s Ridley turtles could strand themselves every year. That&apos;s a significant number for the the most endangered sea turtle species in the world. The species has been decimated by poaching, interactions with shrimp trawlers and other fishing boats, and both human and predators consuming their eggs. There are now only around 12,000 Kemp&apos;s Ridley nests laid per year, down from an estimated 121,517 nests in 1947. With such a low number of nesting individuals, increased strandings could further endanger the species. While the cold-stunning season is likely over for this winter in Massachusetts, sea turtles can be at risk in any shallow water habitat that experiences precipitously plummeting temperatures—Kemp&apos;s Ridley turtles have been seen stunned in Florida and even along the Gulf of Mexico. As climate continues to shift and extreme temperature fluctuations become more common, these stranding events may change in distribution or frequency around the globe. 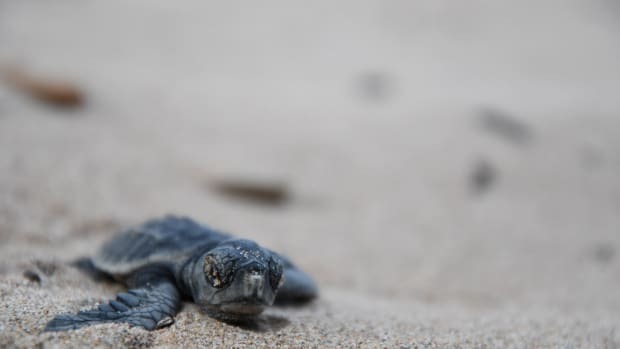 But Griffin and his team remain optimistic about future turtle conservation, emphasizing the need to keep up with rehabilitation and conservation efforts. "Currently, the nesting population has rebounded quite substantially since the 1970s," says Griffin, pointing out that interventions that helped preserve nesting habitat and minimize human contact were successful. But improvements in turtle populations have, for no clear reason, dropped off over the last 10 years. "We need to do everything we can to preserve this species," Griffin says. While the larger issue of climate change requires sweeping cultural and economic action, you can do your part to help the climate, and sea turtles, by mindfully choosing climate-friendly actions and products. And if you live on the coast, keep an eye out for cold-stunned turtles during fall and winter months. A cold-stunned turtle is a vulnerable turtle, and needs professional attention—your warm bathtub will hurt the creature more than help it. If you see a stranded turtle, contact your local wildlife authority to get the turtle into specialized care as soon as possible. Anna Robuck is a marine ecologist at the University of Rhode Island. Could a Warming Planet Increase the Spread of the Zika and West Nile Viruses? 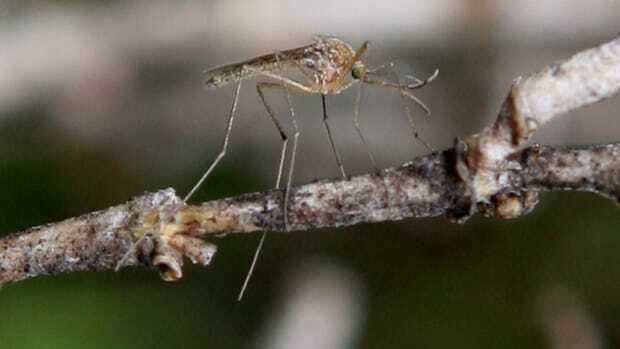 Climate change may be supercharging mosquito evolution and making more of the world hospitable to the insects that can carry dangerous diseases. Hatching rates on a remote island on the Great Barrier Reef are alarmingly low. Rising seas are flooding sea turtle nests on the island, but researchers are finding that's not the whole story. Recent storms have destroyed the progress made in ice formation endangering coastal habitats and fishing practices.